Tickets go on sale February 1! 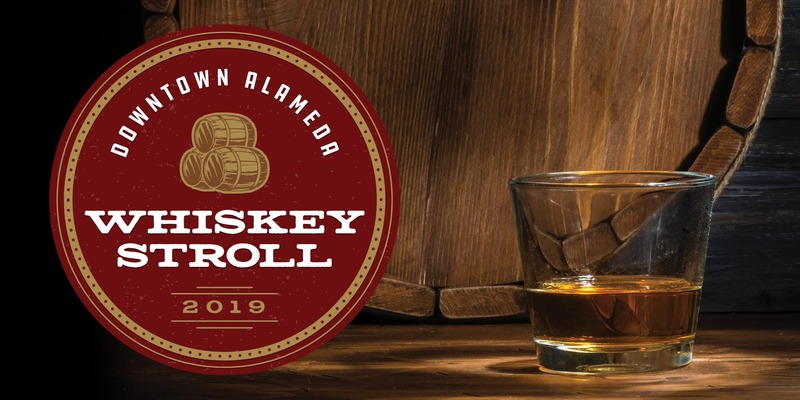 Taste premium whiskeys and learn about distinguished local distillers as they showcase their unique brands at the Downtown Alameda Whiskey Stroll. Ticket holders will stroll our historic downtown district tasting small-batch whiskey selections from around the Bay Area paired with delicious bites at eleven unique locations. Come early and stay late to visit restaurants and bars offering exclusive "Stroll Specials" and discounts. Tickets include a collectible tasting glass, premium whiskey tastings at eleven unique locations, yummy bites at each location prepared by local chefs, a commemorative guide, and exclusive offers. Check-In Time: 5:30-7:00pm; receive wristband, collector's glass, and commemorative guide. Tasting Hours: 6:00-9:00pm; choose your own route for visiting the 11 tasting locations. Ticket Price: $40 until Feb. 22. Price increases to $50 after that date (if event is not sold out). Stroll Specials: The commemorative guide will have a list of downtown bars and restaurants offering specials and discounts available exclusively to ticket holders before and after the event. Pre-Stroll specials are available starting at 5:00pm at participating businesses. Bottle Sales: Found a new favorite? Select Bay Area whiskeys will be available for purchase at CRAFT Beer & Wine -- Alameda’s premium bottle shop specializing in European wines, barrel-aged beers, and spirits. ALL PARTICIPANTS MUST BE 21 AND OVER WITH VALID ID. Proceeds benefit programs that help keep Downtown Alameda clean, green, and safe. Thank you sponsors! CRAFT Beer & Wine, Beacon Business Bank, and Common Networks.